Browse the most current Huntsville real estate listings below! Huntsville is a vibrant and growing city, and the county seat of Madison County. As one of the largest cities in Alabama, Huntsville is home to a wealth of diverse real estate options. Single-family homes are the primary property type in the area, however there are also wonderful townhouse and condo residences, acreage properties, and luxurious estates. The city has consistently been recognized as one of the best areas to live and work in by numerous publications over the years, and residents in Huntsville enjoy a high quality of life. With a bustling metropolitan atmosphere and small-community values, it's easy to see what's drawing so many home buyers to this wonderful city. View listings for Huntsville, AL homes for sale below, or keep reading about living in this attractive city. This Gorgeous Home For Sale In Farmsteadfeatures 6 Bedrooms, 6 Bathrooms And Is Built In The Beautiful 1 1/2 Story Style. Listed At Only $1,550,000, This 7,596 Square Foot Residence Can Be Your Perfect Piece Of The Huntsville Real Estate Market. This Gorgeous Home For Sale In The Ledgesfeatures 4 Bedrooms, 4 Bathrooms And Is Built In The Beautiful 2story, Traditional Style. Listed At Only $1,425,000, This 4,916 Square Foot Residence Can Be Your Perfect Piece Of The Huntsville Real Estate Market. Register for FREE with MCRE and gain instant access to advanced search tools! Customize your search for Huntsville real estate, and bookmark your favorite listings. You can even set email alerts so you'll never miss out when new Huntsville homes enter the market. In recent years, Huntsville has experienced a steady population growth, and the city has been expanding to accommodate its increase in residents. Huntsville, AL homes for sale are primarily single-family dwellings, but the real estate market is diverse and also consists of townhomes and condos in varying price ranges. Whether you're searching for an established community with existing homes, new subdivisions with recently constructed properties, maintenance-free condos and townhomes, or a luxurious estate on a spacious and private lot, you'll find what you're looking for in Huntsville. Affordable starter homes and investment properties are perfect for those on a budget, while upscale homes on acreage properties offer a more opulent lifestyle. For buyers seeking something in the middle, there are plenty more home options to choose from. A wide range of real estate options, from affordable properties to luxury estates. Home to a well-balanced mix of historic districts and high-tech industries. Strong economic growth and employment opportunities. Numerous recreation options, including over 50 parks. A wealth of urban amenities, including shopping, restaurants & entertainment. Residents in Huntsville enjoy the lively atmosphere and amenities of a busy metropolitan area, as well as a sense of community and old-time values of Southern hospitality. The city regularly hosts annual community events, and many new subdivisions in Huntsville have been, and continue to be, constructed as completely planned communities with neighborhood amenities, associations, and organized activities. With over 50 parks, numerous public and private golf courses, seemingly endless shopping and dining options, and an array of entertainment venues, Huntsville residents are never at a loss for something to do. 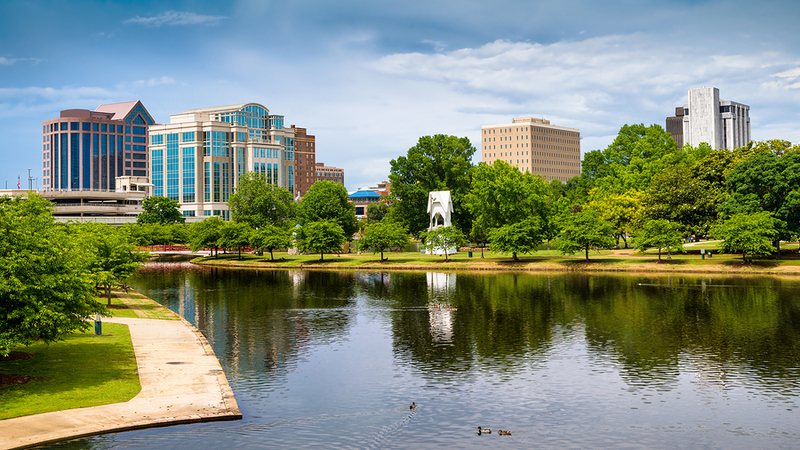 The city prides itself on its high-quality of life, and there's something to be found for everyone in Huntsville, AL. Want to learn more about homes for sale in Huntsville? Contact the agents at Matt Curtis Real Estate online or call 256.333.MOVE (6683). We'll be happy to provide you with more information, or give you a tour your favorite Huntsville real estate listings!